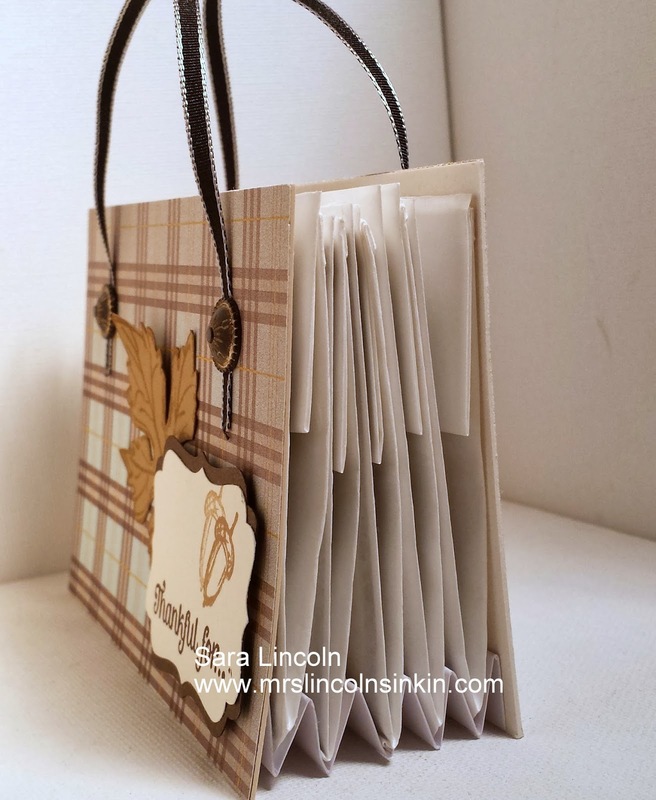 Hello stampers, welcome to another share here at Mrs. Lincoln's Inkin'!! Today's share is a sneak peek of.... you guessed it, what i will be showcasing on this week's Friday Video Tutorial. This super cute paper bag purse also featuring SU! 's sorta new product (new this year) Coaster Board!! 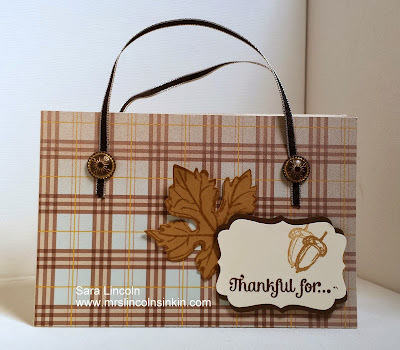 This bag that i am showcasing today has 5 pockets in it and can hold 5 different "Thankful For" cards. Or at least that is what mine are going to be holding. 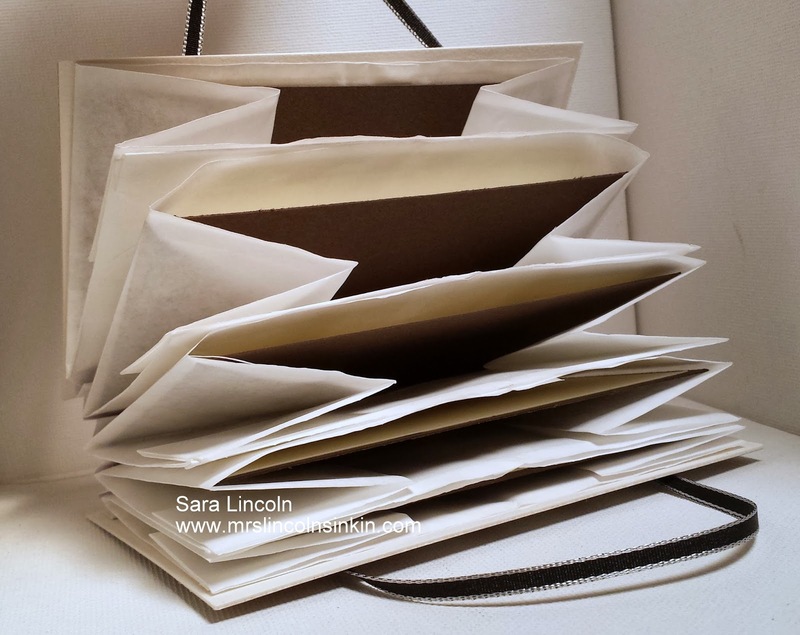 The awesome thing about this project is that the pockets are made out of just regular ol' lunch paper sacks!!! I love when you can incorporate things that you have laying around the house into something fun and creative!! !